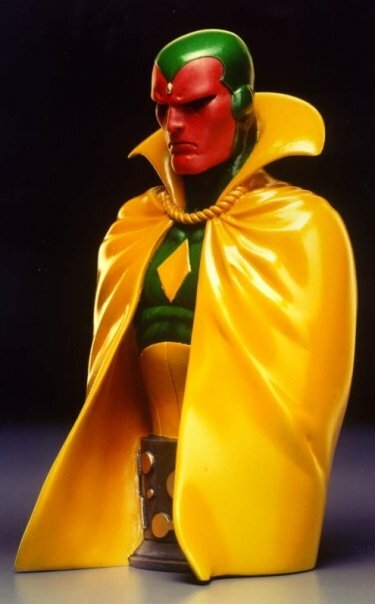 The Vision first appeared in The Avengers #57 as an enemy of the super team — created by Ultron to destroy them. But he soon turned to the good side and fought evil along side the team for many epic battles. This mini bust is sculpted by Carl Surges & Randy Bowen and captures the stoic persona of the android avenger!